Contraband Bayou's 9th hole is framed by L'Auberge Resort Casino. So much of America’s greatness lies in its very vastness and variety: of geography and climate, of language and culture, of backgrounds and beliefs so broad and deeply held that they find their way through every corner of day-to-day-life, from what we do for fun to what we eat for even more fun. America is, indeed, the world’s greatest melting pot, and perhaps nowhere does that pot boil over in the best way possible than in oil-rich and hospitality-steeped Southwest Louisiana and its friendly hub of Lake Charles. Just two hours from the Houston megalopolis and about three and a half hours from New Orleans, the region cooks its Cajun, East Texas and Deep South influences into a tasty stew of down-home welcome and uptown hospitality, served with that lovely sing-song accent and spiced with potent and pleasing vacation amenities — from casino action that rivals anything in Vegas to a golf course lineup that brings the warm and watery landscape into sharp, spectacular and affordable focus. Oh, the water. It’s everywhere; from, say, a suite on the 5th floor of the thousand-room L’auberge Resort Casino, you can’t look any direction without seeing a river, pond, slough or, of course, lake. Fishing is like breathing in these parts, and any visitor can get in on the spotted trout, bass, flounder and redfish-catching action by booking a few early morning hours on shallow but mighty Calcasieu Lake (the locals just call it “Big Lake” since it covers some 77 square if shallow miles) in adjacent Cameron Parish, with an outfit like Hackberry Rod & Gun — they’ll set you up with rod and reel and even bait your hook with live shrimp if you’d rather not touch the little guys. And the guides know their hot spots, which means you’ll invariably pull out a few keepers, which are quickly filleted and packaged to be fried or grilled to perfection at a local eatery such as Seafood Palace, a true Lake Charles institution. Don’t forget to order a boiled crab or two and a big plate of the region’s signature dish, the meat-or-seafood-and-rice concoction known as Boudin — “boo-dan” — as well. 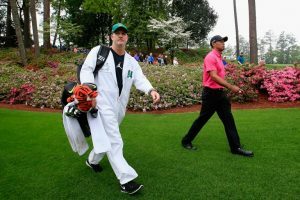 After all, you need to keep the protein and carbs coming, because there’s lots of golf to be played, with four courses in particular leading the Calcasieu Parish pack. 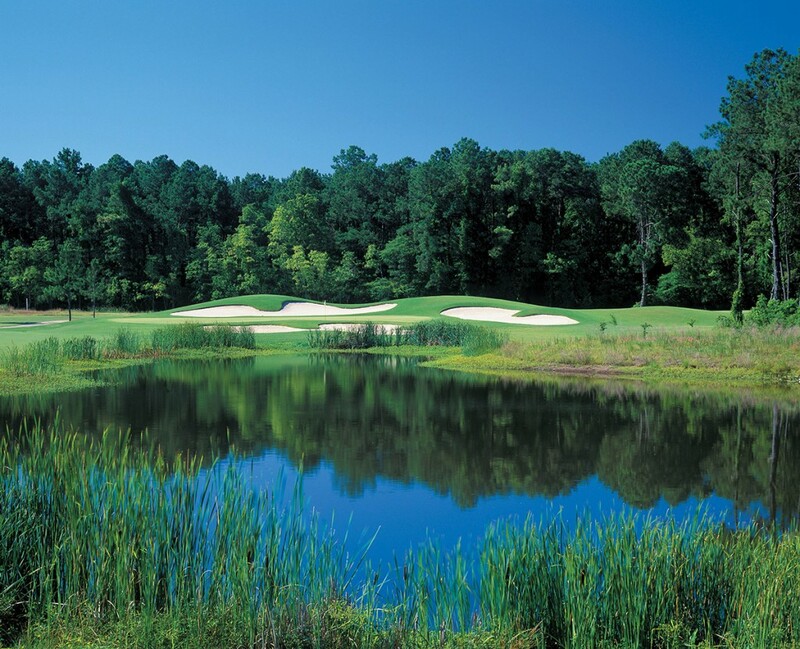 Start at the club with the stately name, The National Golf Club of Louisiana in Westlake ($37-$47 for 18 hole with cart). Designed by Southern architect David Bennett and opened in 2009 as the centerpiece of a high-end residential community, its rolling, piney routing has hints of the North Carolina sand hills, Central Florida and even a whiff of Georgia’s Augusta region. You can sometimes feel that there are homes along the circuit, but they never interfere with what plays out as a wide-open, driver-friendly experience though there’s water lining or crossing virtually every hole. Tee shots are often framed by stacks of bunkers that aren’t too deep to allow forward escape, though the “church pew”-like trio guarding the green on the par 3 5th are daunting. Greens are on the larger side and gently sloped, but like all good designers Bennett gives you a preferred entry route depending on pin position. This is the perfect choice to get a Lake Charles golf jag going. Even more Augusta-like is Gray Plantation Golf Course ($45-$75), where Rocky Roquemore laces 12 holes among 670 acres of lakes just a couple hundred yards from the banks of the Calcasieu River, and pocks all 18 with 94 bright white bunkers, several of which beckon with silent challenge as you spy holes 10 and 18 from the raised plantation-style clubhouse. Two of the four par 3s have island greens (No. 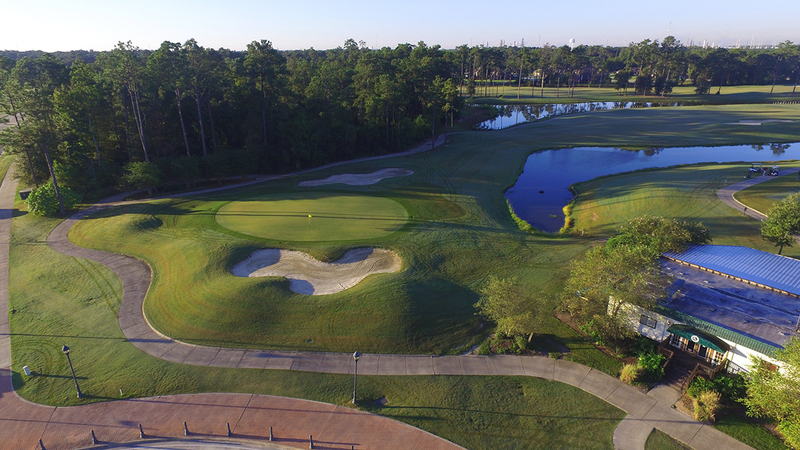 13 is a true beauty nestled against a border of dense bayou flora), and one par 5 in particular, No. 7, is a wildly curvaceous beast that’s rife with risk-reward options from shot to shot — reachable in two over a reedy marsh if you bust it far enough off the box, but more likely a three-shotter of carefully thought-out right-angle approaches. 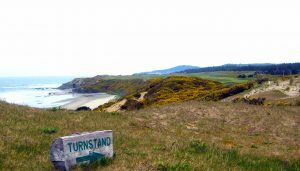 Scores in one recent foursome ranged from birdie to snowman on this hole, with teaching pro Tyler Kuhn acting as local-knowledge referee. The back nine clings like a bracelet to a wrist of water and wetlands, culminating with a fine three-hole set — short par 4 over finger of pond, short par 3 over water and long, straightaway par 4 home. There’s a reason Gray Plantation was named a Top 100 track for several years running; even after Hurricane Rita laid it low in 2005, taking out several hundred trees, it came back stronger than ever. 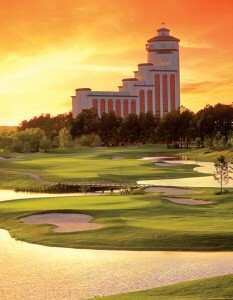 The first hole at The Country Club at The Golden Nugget, Lake Charles, La. Part of Lake Charles’ newest casino-hotel complex right next door to L’Auberge, The Country Club at Golden Nugget is the latest chapter written for the region’s growing golf canon. And what a bright, beautifully constructed and edited chapter it is, thanks to West Coast-based architect Todd Eckinrode’s Origins Golf Design group, who also authored Barona Creek near San Diego, one of the nation’s top casino resort-related layouts for most of this century. The Country Club has had two years to mature into perhaps the best-conditioned course in the state, with ultra-smooth Miniverde greens and Celebration tees, fairways and primary rough, which nudge up against some 15 acres of beautiful waste bunkers — with plenty of bayou beyond — that help frame and add contrast to every hole. The first hole is a wide-open par 5 that offers the first of several views of the I-10 bridge over the river; from there the course just gets more inviting and fun, with enough open looks at greens and friendly landing areas to render the best score of the week, though there’s plenty of trouble to negotiate, from copses of slender pines to sneaky fingers of reedy water. The par 3s are all gettable if you can pull your gaze from the lushness in every direction. Actually, that goes for every hole. Embrace the craftsmanship and enjoy the ride. Secret Golf's Steve Elkington and Diane Knox visit The Golden Nugget in Lake Charles, Louisiana where they play golf gambling games, and even get in a little spa time. It’s the same sensual deal at Contraband Bayou, L’Auberge’s older (though only by about a decade) and more well-known course right next door. 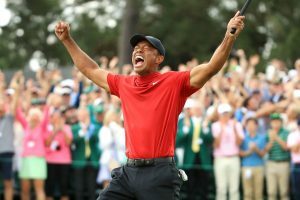 Pinnacle Entertainment, the hotel’s parent company, brought in no less than Tom Fazio to make an immediate statement to the traveling golfer community: We’re a player in the casino course genre. A big player. All the trademark Fazio flairs are there from the very first tee shot — flashed, trick-the-eye bunkering; landing areas that appear slim at first glance but get more generous the closer you get; healthy approaches to big, moderately sloped greens with curvaceous collection areas; and, overall, cool shot angles over native vegetation, around the courses eight lakes and through corridors of pine and oak. It’s one of those courses that creeps up on you as you negotiate it, then look back and tell yourself, “Damn, that was good.” And we’d stack up Contraband’s muscular final stretch against that of any course in the South — just as we’d stack up the chip-flipping action in the casino next door against any Nevada mega-casino you can think of. That’s one of the remarkable things about L’Auberge, the Golden Nugget and Lake Charles’ barge-bound gaming product: It’s the real deal. These places are packed with funseekers year-round, and they aren’t shorted on the accommodation or dining fronts, either — L’Auberge’s rooms are beautifully appointed and its eateries — an Asian showcase, down-home Southern kitchen, buffet, high-end Embers Grille and the absolutely outstanding Jack Daniel’s Bar & Grille — cover all the hunger bases and then some. Tia Juanita's in downtown Lake Charles, La. Then again, great food is found at every turn in Lake Charles. 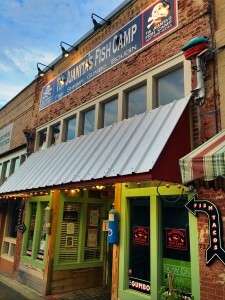 The compact and quaint downtown area, about a 15-minute drive from the casinos, offers family-style Cajun-Mexican fusion (Tia Juanita’s Fish Camp), steak and seafood spiced with more Cajun twists and surrounded by the art of George Rodrigue (Blue Dog Café), and many other types of cuisine. If you’re jonesing for a great sandwich on the go, give Darrell’s Po Boys a shot — their hot ham and turkey on fresh bread is most and messy miracle. Lake Charles has also joined the craft beer revolution with the recent opening of Crying Eagle Brewing Co., which is already shipping three types of well-made brew — Ready to Mingle Belgian Ale, Calcasieu Common Ale and the bestselling Chuck Golden Ale — and offers meeting space and live entertainment. So … Lake Charles serves up great golf, gaming, fishing, food, beer and hospitality, all tendered in warm mid-South weather (OK, steamy in the summer), for far less outlay than many comparable destinations, and within easy reach of major cities from coast to coast via Dallas or Houston via American or United Airlines. It’s the perfect place to let the good times roll, on and off the fairway.